FLORIDA’S FUTURE IS AT STAKE! Sea levels are rising at alarming rates; our waterways, aquifers, and endangered habitats are under a barrage of threats; and Florida’s legislature remains divided on key issues pertaining to protecting our fragile paradise. That’s why citizens, led by environmental organizations from around the state are converging on Tallahassee, and RECLAIMING FLORIDA’S FUTURE! In 2016, hundreds of Floridians flooded the halls of the Capitol, which played a pivotal role in defeating the bad, fracking preemption bill (SB318). Many of these initiatives will be fought hard by the influence of money in politics – top donors from Big Sugar and the Energy Monopolies will certainly resist. WE NEED ALL HANDS ON DECK TO RECLAIM OUR FUTURE! If the voices of donors are the only ones they are hearing, we are not doing our part! If we’re not in their ear, or in their faces, we’re not in their mind! DONATE TO SUPPORT THE TRIP so that citizens around the state can speak up for you! 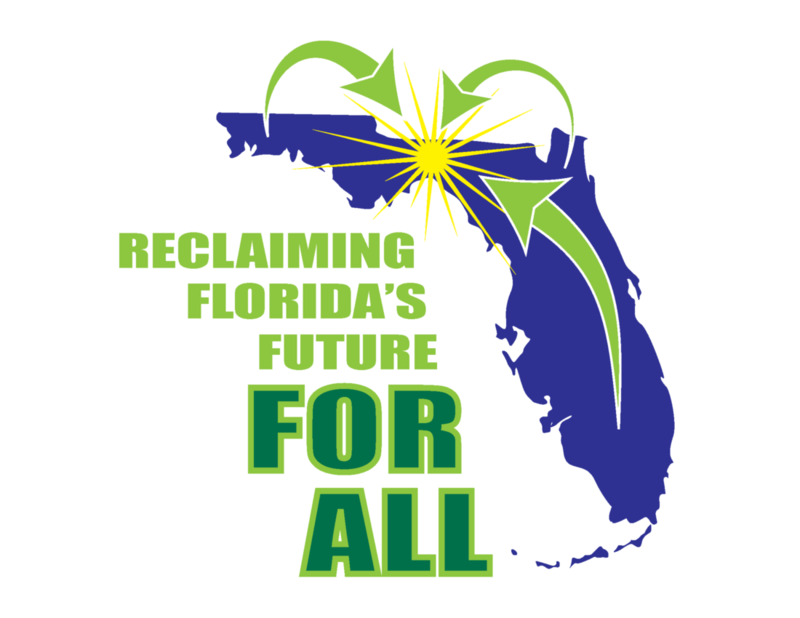 CLICK HERE for 10 things you can do to contribute to making Reclaiming Florida’s Future a powerful event. CLICK HERE for a list of bills we are advocating for on this trip to Tallahassee. You will find the latest updates, next steps, and a list of key senators and the current outlook for the bills passing.